Manchester United has won an impressive array of trophies in English football, including a record 20 league titles, a record 11 FA Cups, four League Cups, and a record 19 FA Community Shields. The club has also won three European Cups, one UEFA Cup Winners'Cup, one UEFA Super Cup, one Intercontinental Cup and one FIFA Club World Cup. Over the years, there have been dozens of celebrated players, including Eric Cantona, Roy Keane, Ryan Giggs, Paul Scholes and David Beckham. For an unprecedented 26 years, Manchester United has had only one coach — Sir Alex Ferguson — who has helped each team player go the distance from being a good to a great player. Even more importantly, he has coached these individual players into becoming a great team. This critical difference that a coach makes in developing great individual leadership as well as a successful, dynamic, powerful team in the sports world applies equally to the world of business. Successful leaders wanting to make the shift from good to great and to take their organization to greater heights recognize the need to evolve themselves to the next level of performance. Increasingly, companies are realizing the importance of executive coaching to accelerate business leaders on their journey. Aon Hewitt's Top Companies for Leaders research shows that many organizations are now looking to executive coaching for leadership development. In part, this trend reflects their acute awareness of the many leadership challenges facing Asian companies today. In our leadership consulting experience, we have observed a steep increase in the use of coaching. The percentage of "top companies" using coaching — internal or external — has grown by 30 percentage points over the last two years, from 57 percent to 87 percent. In these companies, coaching represents more than just a tool to improve performance. In top companies, coaching is made available to already successful leaders so they can develop specific competencies that are critical for self-development and the future growth of the company. Similar to the case of Manchester United, a coach plays a critical role in a business leader's developmental journey. A coach helps a leader to build strategic focus which involves evaluating the leader's bandwidth to strengthen focus on strategic intent and delegate less important tasks. A coach also helps in triggering behavioral change which involves identifying behavioral strengths and development areas to plot the path to readiness for the next role. Lastly, a coach shapes leadership brand which involves encouraging the leader to adopt a constructive leadership style and embody the organization's leadership brand. Coaching, like most developmental interventions, needs to be conducted skillfully and with the right methodology. Over the years, a number of myths have arisen as to what makes a great coach. The first myth is that coaching is for leaders with "people issues." There are many myths about coaching, some rooted in outmoded practices. One myth is that coaching is strictly for leadership team members who have "people issues" or are not performing up to expectations. In Aon Hewitt's experience, coaching is even more essential for those leaders who are already quite successful, confirming that the organization values them highly and wants to invest in their continued growth. The second myth is that individual leaders should be required to undergo coaching as part of their development. We believe that taking up coaching should be voluntary. Only if the leader wants to be coached should the organization invest in the effort. We have seen the process work best when a group of senior leaders go through this process, voluntarily. There are two points here. First, the organization should invest in coaching only if the leader wants to be coached. Second, the effectiveness of the coaching process improves if a group of leaders go through the process at the same time. In so doing, we are able to bring the team together at various points and leverage the positive energy of the early adopters. Also, the organizational issues that may be shaping certain leadership behaviors get discussed openly in such forums. In one such assignment, we were coaching 20 senior leaders comprising CEOs and their direct reports. After we conducted the first two one-on-one coaching sessions, we realized that some participants were facing significant challenges, while others were clearly moving ahead. Bringing the entire group together facilitated valuable exchanges as to what was working well in the organization and which areas presented significant challenges. The third myth we often encounter is that the coach needs to know it all. A coach does not have to know more than the leader in order to coach him successfully. A good coach needs to ask the right questions and the leader needs to come up with the answers. The fourth myth we see is that anybody can be a coach or that any CEO will be able to coach others. Just as the best football players don't become the best coaches, the best leaders may not become the best coaches. While many executive coaches come with good intentions, they are often found wanting in their coaching skills. In our experience, good coaches are those who have honed the art of listening, pose the right questions, are highly empathic, and are very action-focused. Coaching is about individual change and continuous improvement. Individual change involves four phases. The first phase is an objective setting. In this phase, the leader articulates the desired objectives and outcomes of the coaching process, establishes trust with their coach, and starts to own the process. Second is awareness and acceptance. Here the leader comes to identify the specific behaviors that are critical to achieving the legacy they want to create and that will help take the organization to the next level. The leader also gains a clear understanding and assessment of their present capabilities in relation to these leadership behaviors. Third is action and application. In this phase, the leader creates a personalized action plan to address specific behavioral gaps and prepares to embark on their development journey. Their focus is on future improvements and not past problems or issues. Clear measures of success are also created at this stage. As the leader embarks on their personal transformation, the coaching focus is on defined actions, and not concepts. Last is support, maintenance and measurement. In this phase, the leader enlists a number of colleagues to support the coaching process. Not only do they observe the leader's behavior, but they are valuable partners in the leader's development journey. This support network provides much needed stimulus for change and also helps monitor progress made. Here, coaching a group of leaders is of great advantage, as they all become a support group, helping each other on their individual growth journeys. We started this article talking about the greatness Manchester United has achieved and the unique role Sir Alex Ferguson has played in fostering this greatness. The same is true outside of the world of sports. More and more organizations today realize that effective coaching can deliver significant results in developing future corporate leaders. Players get to Manchester United because they are already very good; they then receive coaching to become the best in the world. Similarly, top company talents reach senior positions because they already are very good. Investment in a robust, skillfully executed coaching process can further hone these leaders into the finest in the world, thus benefitting the business enormously. 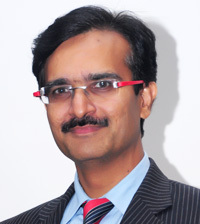 Ajay Soni is the Asia Pacific Leadership Consulting Practice Leader at Aon Hewitt.